The Vanity Van team are excited to announce we will be featuring once again at the International Confex this week at Olympia on 26th-27th February 2019, 9.30am – 5.30pm each day. We will be showcasing our services and offering complimentary treatments to exhibition-goers. 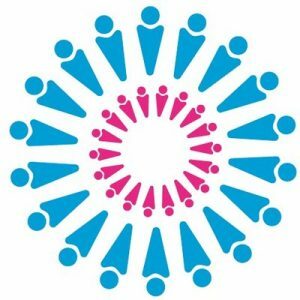 We will be stationed towards the front of the Confex show on stand B4C, which is on the left when you come through the main entrance. We will be offering express hairstyling, makeovers, manicures and massage treatments. We are located directly next to Megabooth, so you come and get photo-ready before making some snapshot memories! 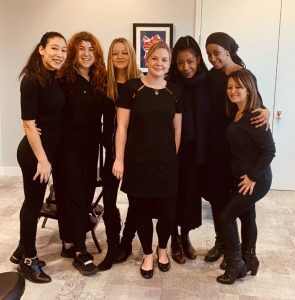 With over ten years in the industry, our expert teams deliver innovative beauty experiences to venues and offices to help reward and pamper employees and guests. Specialising in creating fun engaging campaigns for companies, retailers and brands to attract, incentivise and show appreciation to their continuing and potential customers. 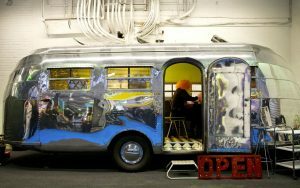 Why should you consider using a service such as ours in your next event or campaign? Beauty services in an event or campaign is a unique way to instil fun and relaxation perfect to engage with staff or customers. We are launching some exciting new salon set ups this year at Confex in white and Rose Gold and have other dressing options for our salons to create the exact look to suit your event. Come and chat to the team to find out more. 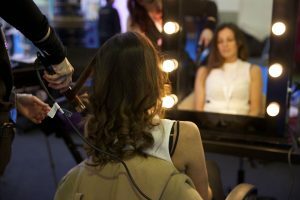 Book a slot at Confex now by contacting us at bookings@vanityvan.co.uk. Previous clients include – ASOS, Pandora, Google, New Look, Miss Selfridge, Warner Music, EMAP, INTU, Westfield, H&M, Virgin, Sky, BBC, Yahoo, ITV, Echo Falls, Cadburys, Next, The O2, TK Maxx, GSK, Just Eat, Barclays, AOL. The Vanity Van team is excited to announce we will be creating a beauty and wellness experiences at the International Confex and Office show this week at Olympia on 28th February and 1st March 2018, 9.30am – 5.30pm. We will be showcasing our skills and offering complimentary treatments to exhibition-goers. 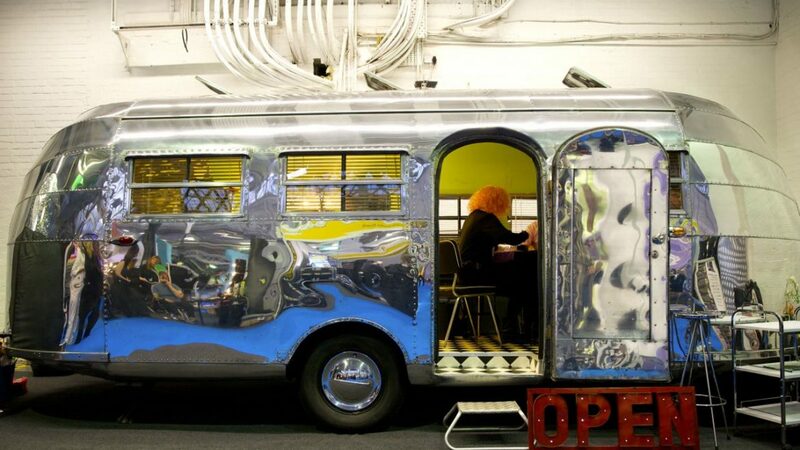 We will have our stunning airstream salon stationed at the front of the show on stand F16C to the left when you come through the main entrance where we will be offering express manicures, braiding and makeovers. 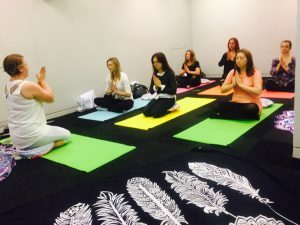 We will also be offering manicures on the Prestige Events magazine stand B46C and we will have our new office yoga and beginners meditation classes going on in the Office show upstairs next to the skills theatre on stand I60. Vanity Van’s services include: haircuts and hair styling; make up; face and body art; manicures; pedicures; nail art; threading; facials; massage; male grooming, reflexology, reiki, energy treatments and more. Options for men, women and children are all available, as are the latest products and trends. Plus we have exclusive indoor and outdoor salons available for hire. We are also in the process of building our sister company which will be focused on all kinds of wellness classes such as yoga, meditation, fitness and dance and an exclusive range of personal, spiritual and creative development workshops. Vanity Van has worked with many high profile brands and celebrities. 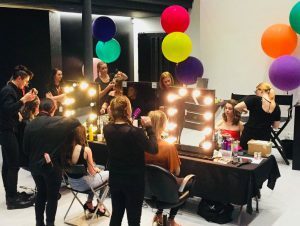 Our award-winning team has delivered entertainment packages to corporate events and private guests alike, as well as delivering large-scale experiential salon tours for retailers and entertaining crowds at some of the country’s biggest festivals. To fully enjoy our services, please pre-book a slot. Health and beauty are popular at events and considered a high-value experience by guests, so we do draw crowds and can get extremely busy. Pre- book a slot to experience our skills and services for yourselves, and to avoid disappointment. Contact bookings@vanityvan.co.uk. Previous clients include – BBC, ITV, Google, Yahoo, H&M, New Look, Miss Selfridge, Just Eat, Vodafone, Virgin, O2, The Times, First Direct, Cadburys, Virgin, Sky, Echo Falls, TK Maxx, Car phone warehouse, Butlins, Batiste, AOL, Barclays, Red Letter Days, Spec Savers, Mcvitities, Londis & Jack Wills and many more….